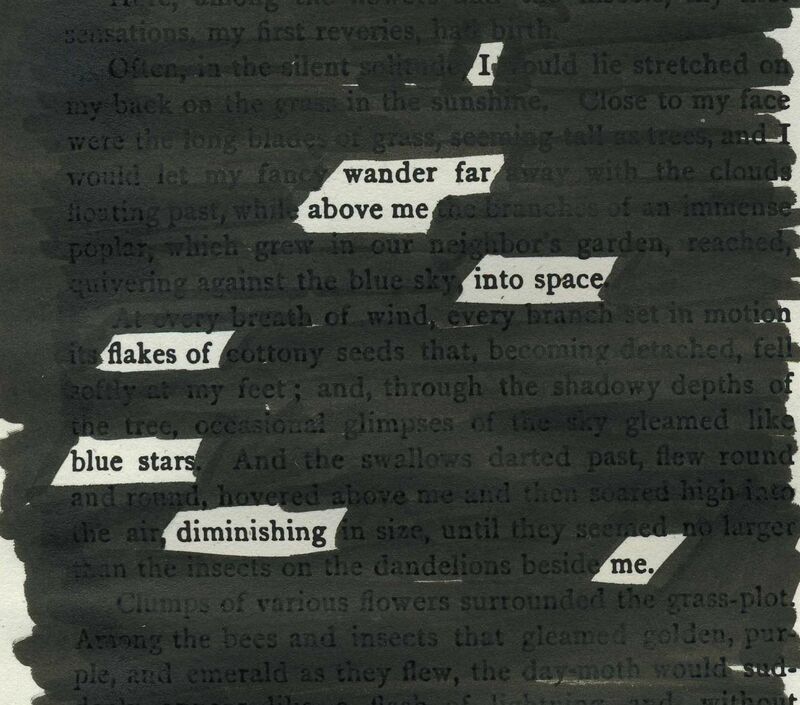 Text from an old Sir Walter Scott novel redacted into a poem. 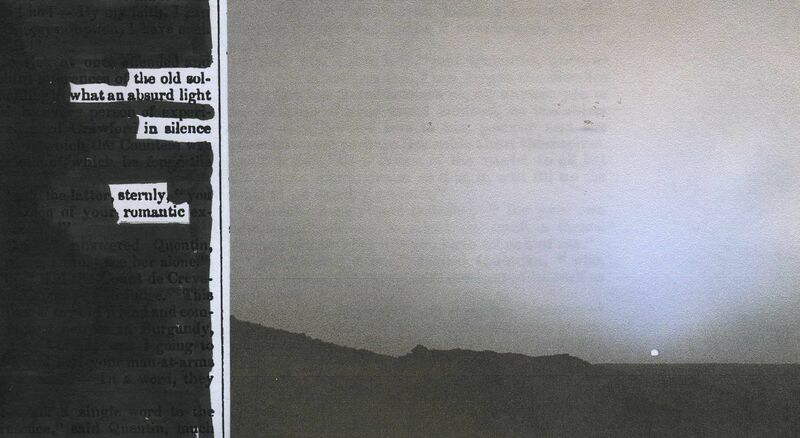 Photo at right is a sunset on Mars taken by the Mars rover Spirit in 2005. Image credit: Mars Exploration Rover Mission, Texas A&M, Cornell, JPL, NASA. 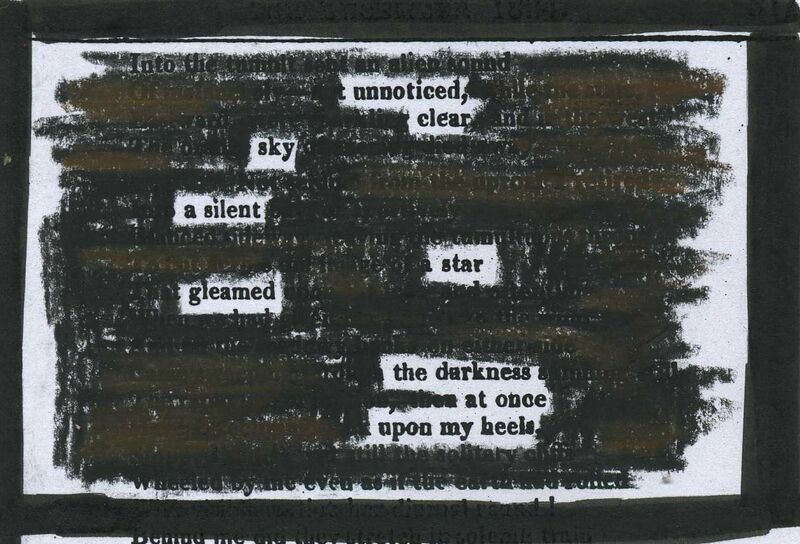 A page of an old dictionary redacted into a poem. Jupiter illustrations from “Smith’s Illustrated Astronomy” pasted onto graphic background. 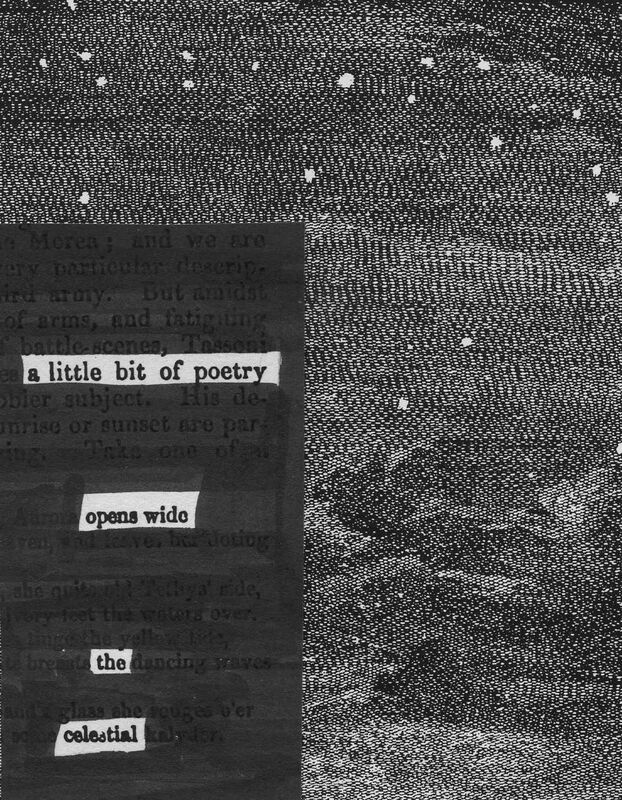 A page of “The Muse: A Little Book of Art and Letters” (1900) redacted into a poem. Sun graphic is part of an old woodcut attributed to Holbein. 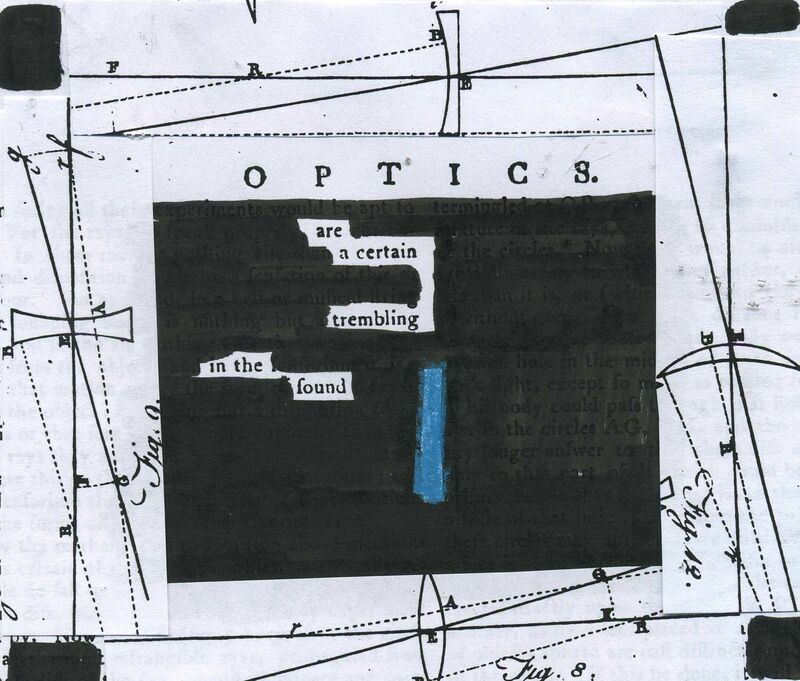 A Wordsworth poem printed in Sherwood, Gilbert and Piper’s “Time’s Telescope” (1824) redacted into a poem. Jules Breton’s “The life of an artist: art and nature” (1891) redacted into a poem.